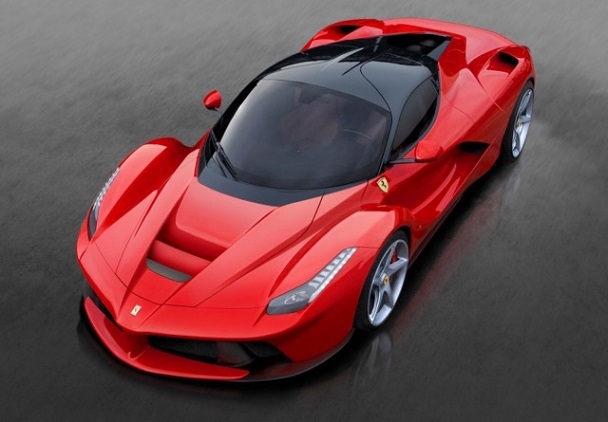 LaFerrari was unveiled at the Geneva Motor Show and it’s making quite a splash. The name is a little odd, but the styling and performance of the brand’s new flagship supercar have certainly impressed most of the auto press. This new beast is the successor to the legendary Ferrari Enzo that was named after the company’s founder. This is Ferrari’s first hybrid, and that alone makes it a fascinating leap forward. The HY-KERS “advanced hybrid system” was developed using Ferrari’s F1 expertise boosting performance and efficiency. The result is a 6.3-liter V12 engine with 789 horsepower combined with a 160-hp electric motor. The electric motor provides the muscle at low speeds, so LaFerrari can sprint to 62 miles per hour in under three seconds. This allowed the Ferrari engineers to optimize the gas motor for higher speeds, and the car achieves a top speed of 205 mph! It will be interesting to see how this hybrid design gets rolled out into Ferrari’s other models, along with how it impacts the ultra-competitive supercar category. “We chose to call this model LaFerrari,” declared Ferrari’s President, Luca di Montezemolo, “because it is the maximum expression of what defines our company – excellence. Excellence in terms of technological innovation, performance, visionary styling and the sheer thrill of driving. Aimed at our collectors, this is a truly extraordinary car which encompasses advanced solutions that, in the future, will find their way onto the rest of the range, and it represents the benchmark for the entire automotive industry. LaFerrari is the finest expression of our company’s unique, unparalleled engineering and design know-how, including that acquired in Formula 1.” They have a right to be proud, and I suspect the name will grow on people. The styling is also very aggressive as you might expect. The muscular wheelarches jump out right away, and they are described by Ferrari as “a clear nod to the gloriously exuberant forms of late-1960s Ferrari sports prototypes.” The body was “given a sculptural treatment heavily influenced by its clearly F1-inspired aerodynamics and a tail section that exudes uncompromising sportiness.” The overall look is a smashing success in my humble opinion. The supercar’s chassis also features four different types of carbon-fibre, all hand-laminated and autoclave-cured in the racing department using the same design and production methods as Ferrari’s Formula 1 race cars. We’ve seen a nice run of new supercars, and now LaFerrari makes its mark on the category. Check out the official video from Ferrari.